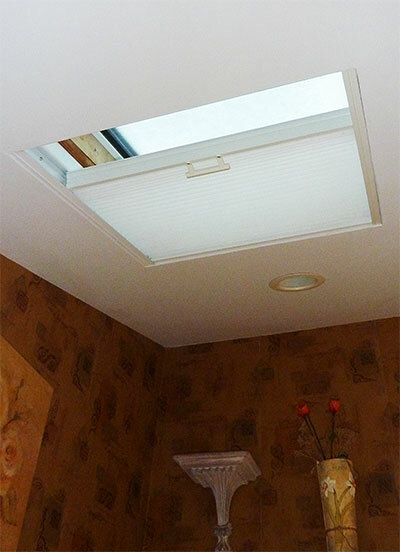 Light Filtering 3/8" Single Cell skylight shades are great insulators for your skylights. They work similar to our cellular shades by keeping the cold out during the winter and keeping the heat out during the summer while still allowing light to enter the windows. Made from 100% polyester, these skylight shades come in 35 different colors and are made with a honeycomb design. 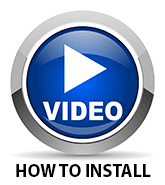 For harder to reach windows you have the option of ordering an operator pole. All the necessary mounting hardware comes included. You will love these skylight shades because they make your windows more energy efficient while allowing the light to filter through. The unique design of our Skylight Light Filtering Shades ensures that air is trapped between the window and the room, providing effective insulation. 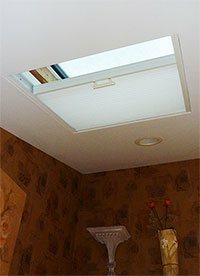 It’s the insulation product that can help homeowners make considerable savings on their home energy bills when they integrate the Skylight Light Filtering Shades within their property. This honeycomb design is an essential part of the technology we use in our cellular shades. Helping customers save money and enhance their home environment has been a central part of our business. The lifetime limited warranty available with our Skylight Light Filtering Shades helps protect homeowners against potential damage to their window treatments. We understand that customers want exceptional coverage from the leading products on the marketplace and that’s why we present our latest innovations with this full lifetime limited warranty. 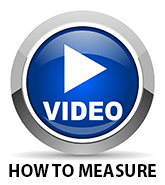 It’s how homeowners can protect their long-term investment. The Skylight Light Filtering Shades are available with an optional operating pole, which helps provide usage convenience for those hard to reach window areas. The product also comes replete with white aluminum side rails, which provide a superior level of elegance that helps the shades stand out within all home environments. 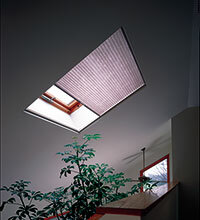 Homeowners will also love that they can install their Skylight Light Filtering Shades in sloped, horizontal or vertical position, thereby achieving complete installation convenience. * For shades less than 30" wide max height is 96"
"Great blind for our skylight"